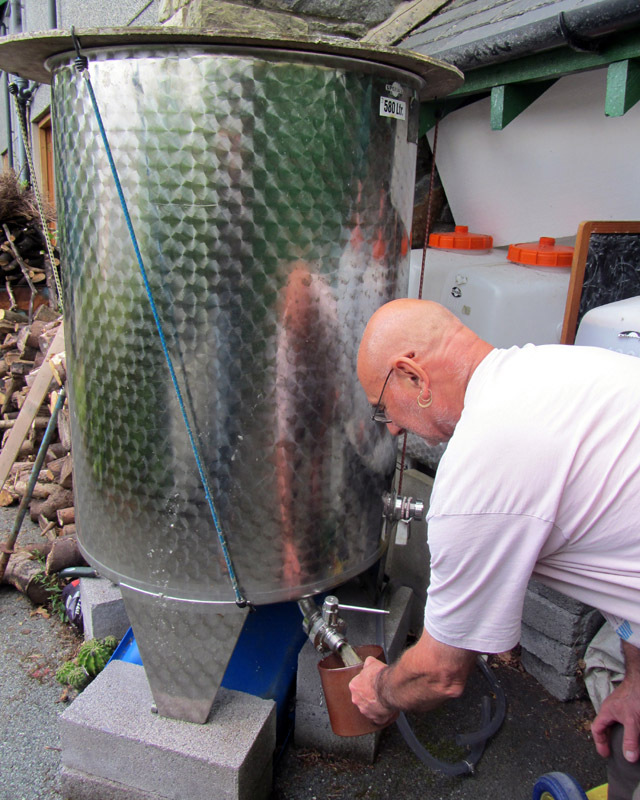 Let’s start with Fri p.m.
You remember cider making with Jay last November, the work that went into filling that 580 litre tank. Well now it’s payback time. Imagine the sense of security that comes with knowing there’s no chance of a drought this weekend. 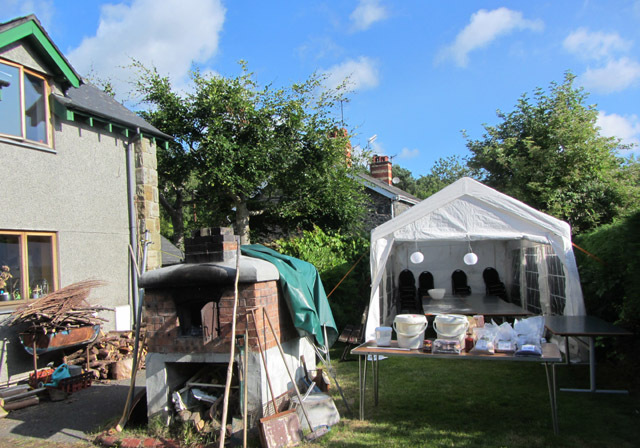 Anyway, twenty odd bakers are assembled here at Jay & Gill’s in Trefriw for the annual Bethesdabakin’ weekend and the facilities are just waiting for breakfast to be over and the action to commence.